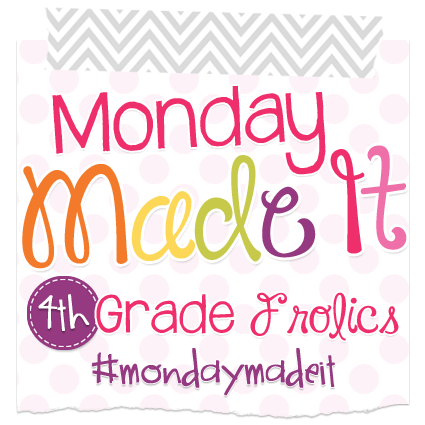 Today I am linking up with 4th Grade Frolics and Classroom Freebies for Monday Made it and Manic Monday Freebie. 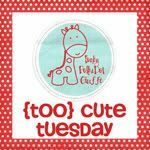 I am also adding a link-up with Funky Polkadot Giraffe for Too Cute Tuesday. My first Made it if for my Classroom Transformation, which I have been working on all month. 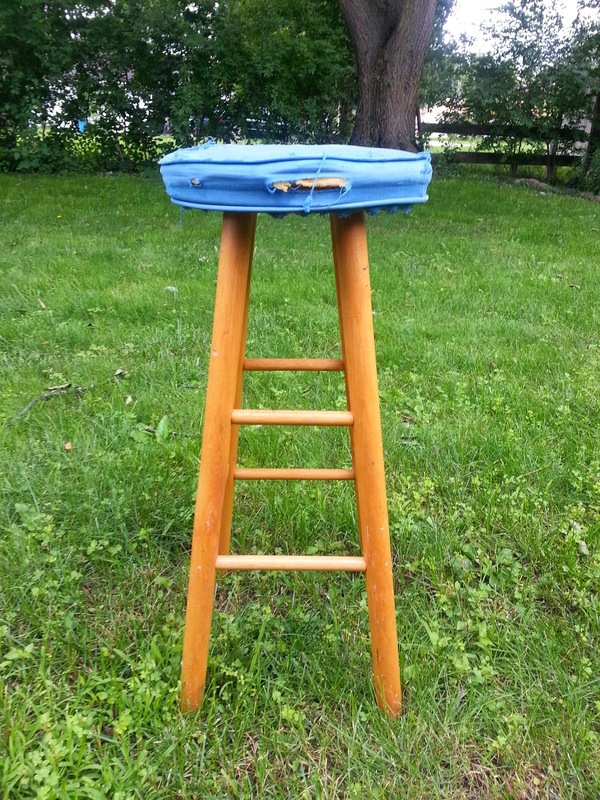 I have had this stool since middle school. My dance teacher was moving her studio, and I bought this for $5. I have gotten more than my money's worth as it has survived my high school years, college dorms, and teaching in three schools....well, sort of survived. It looked pretty beat up, so I gave it a face lift. 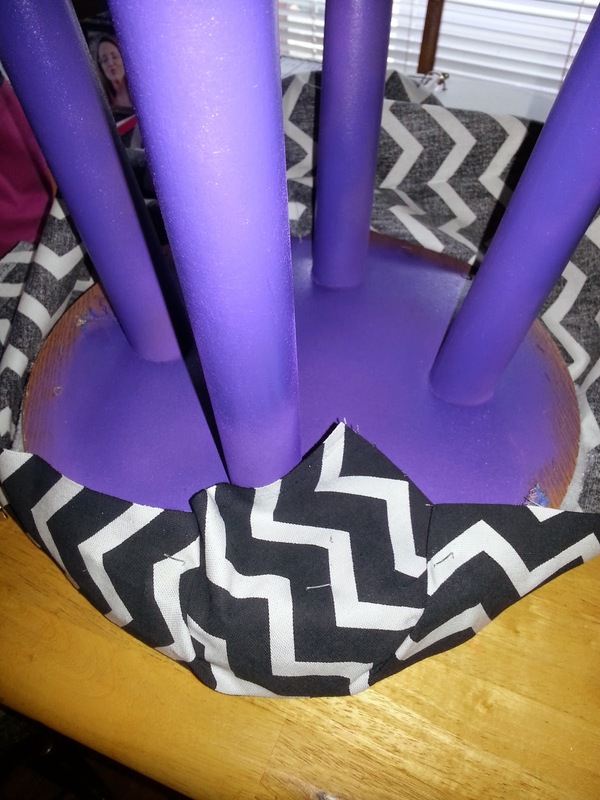 It took two coats to cover the legs, and I had to flip it over several times to get all sides and corners. When it was dry, I brought it inside to finish. 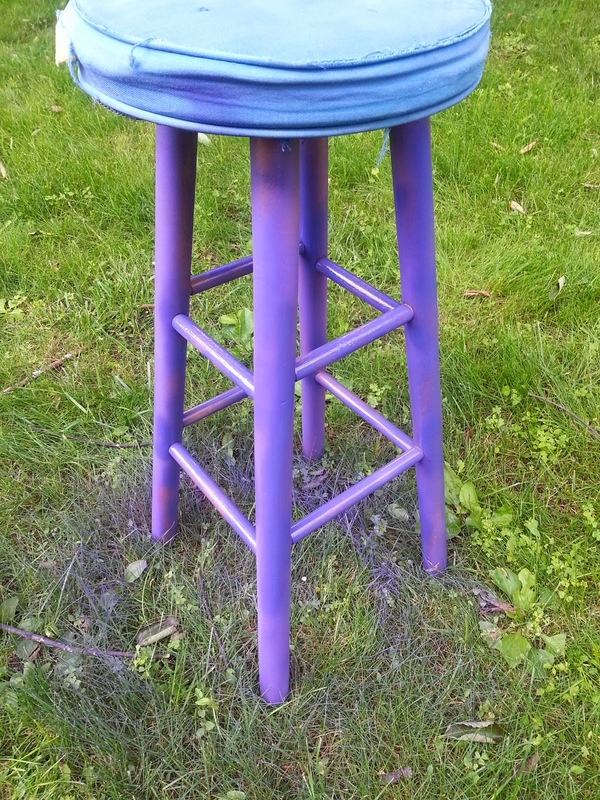 Yes, there is still a purple spot on my back lawn. 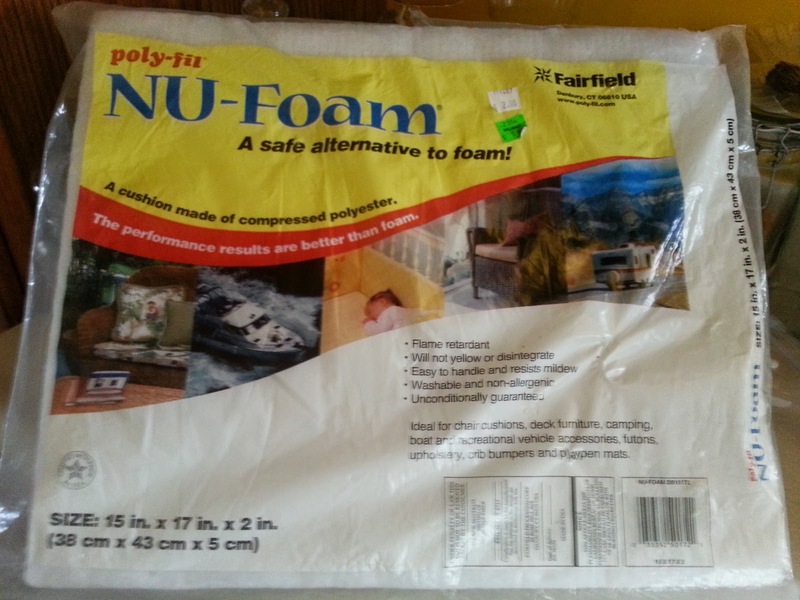 The top came off really easily, and the foam practically disintegrated in my hands. I was able to pull most of the fabric off with my bare hands....grrrr! I bought this little lovely at a yard sale several years ago. 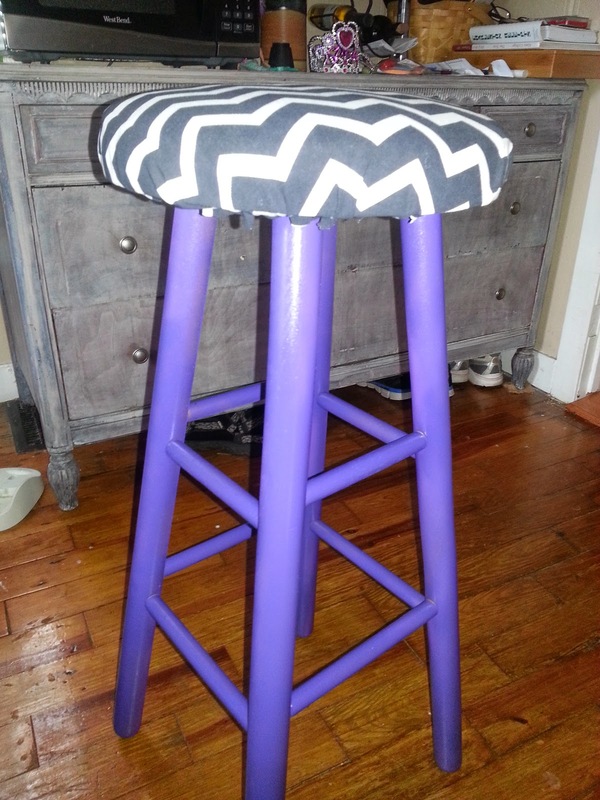 It has been sitting under my craft table waiting for the perfect use, and my stool was it. 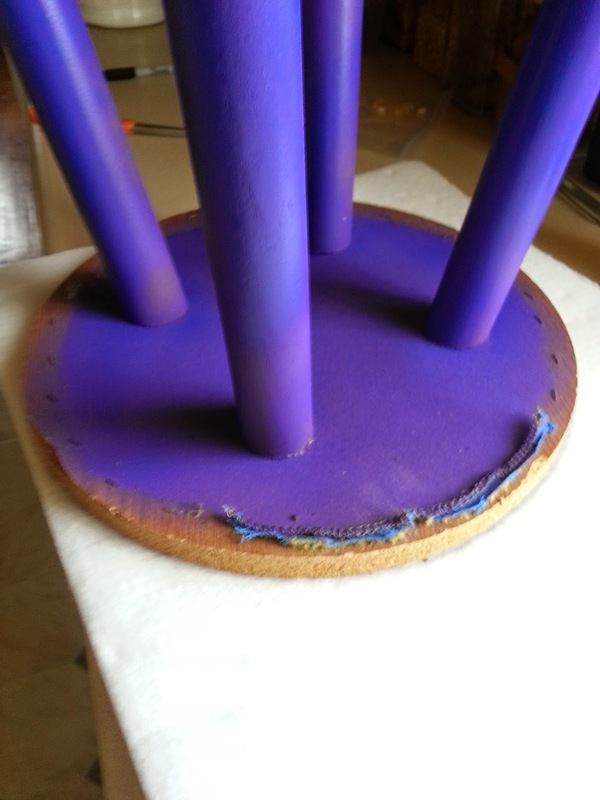 I traced the top of the stool onto the foam. That was the easy part. Cutting said circle out was not easy. It took twice as long as it should have. I tried scissors, a carpet knife, and hubby's bread knife (don't tell him). 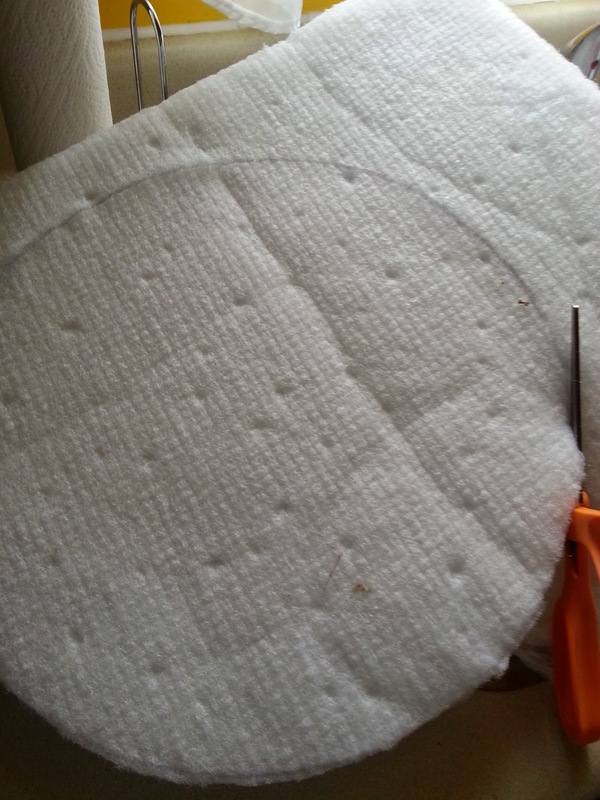 I finally got a circle cut out after a lot of work. 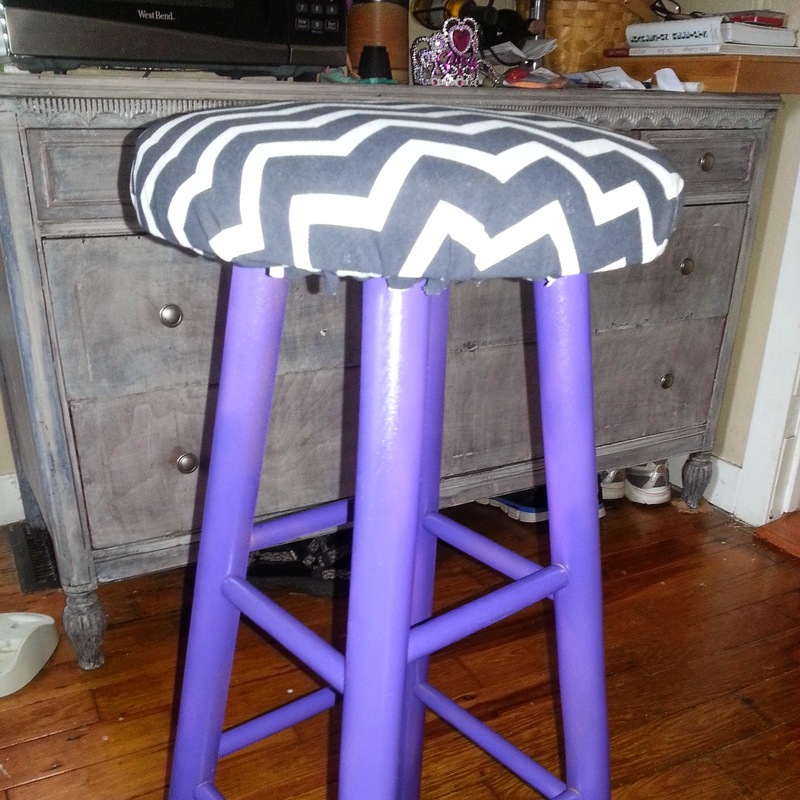 I layered the fabric and foam under the stool and went to work with my staple gun. I tried to pull it tight, but a couple of spots were tricky, so I had to take the staple out and try again. I really needed four hands for this part. I then trimmed the excess with scissors. I think my hand work turned out pretty well. Other than the imperfect edge underneath that shows from this angle...the students will never know. 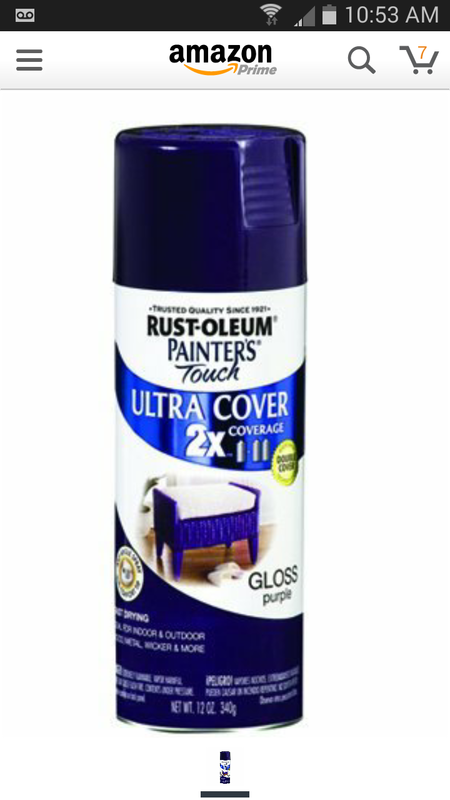 My next make it was also for my classroom. 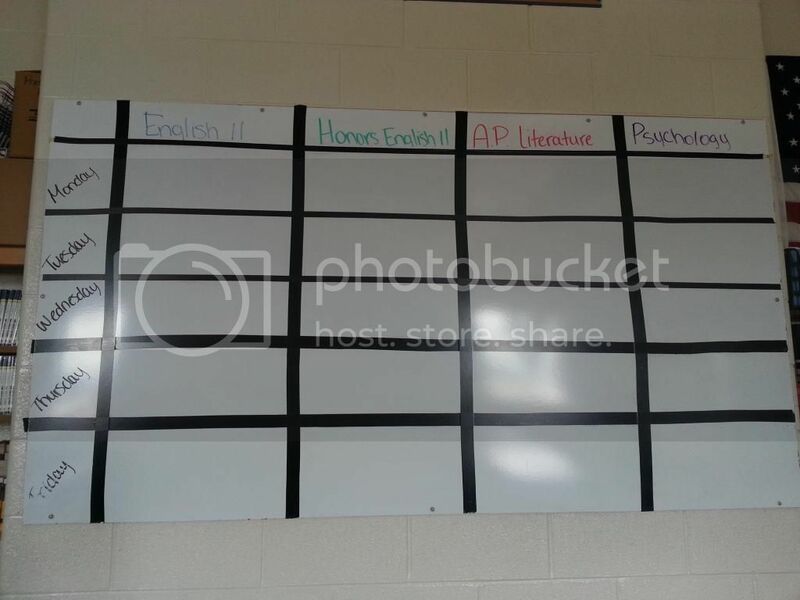 Some of you may remember this photo from my Classroom Transformation; it is my agenda board on the side wall of my classroom. To clean up the board I decided to create labels for this one and my smaller one on the back wall of my classroom. 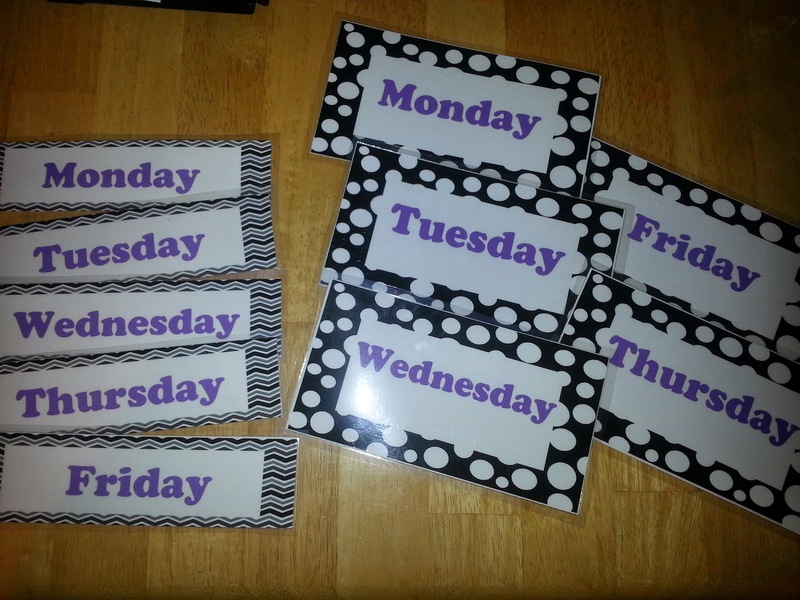 I couldn't find any premade labels online or on Teachers Pay Teachers that were the right colors and editable. 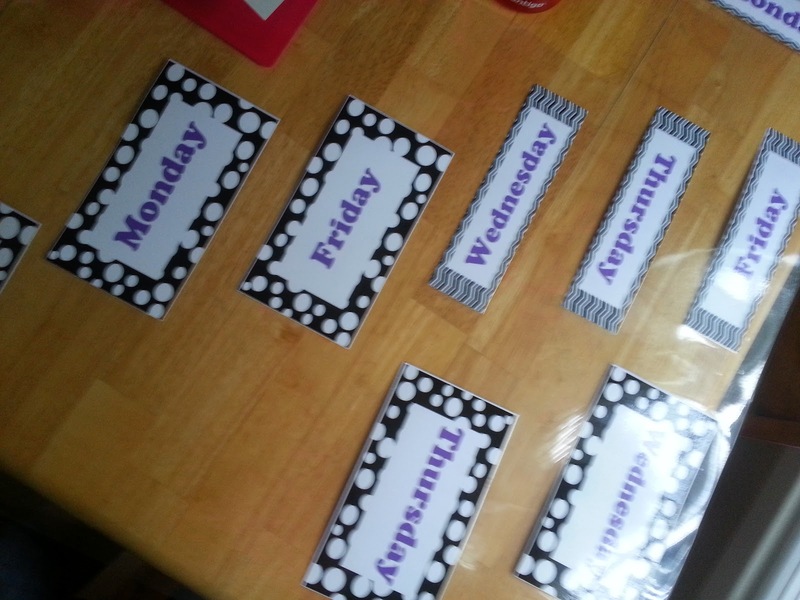 As a secondary teacher I don't really need the same labels as an elementary teacher. 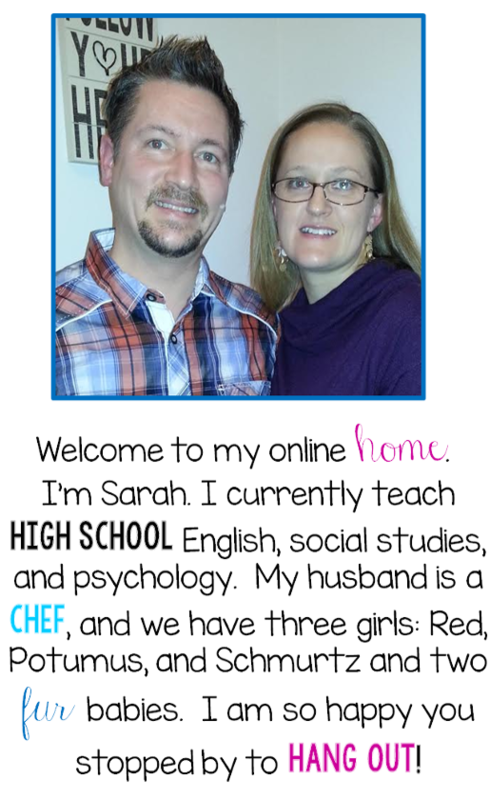 I found and downloaded some free papers from MelStampz and some sample frames from The School Supply Addict and Mrs. Croak. 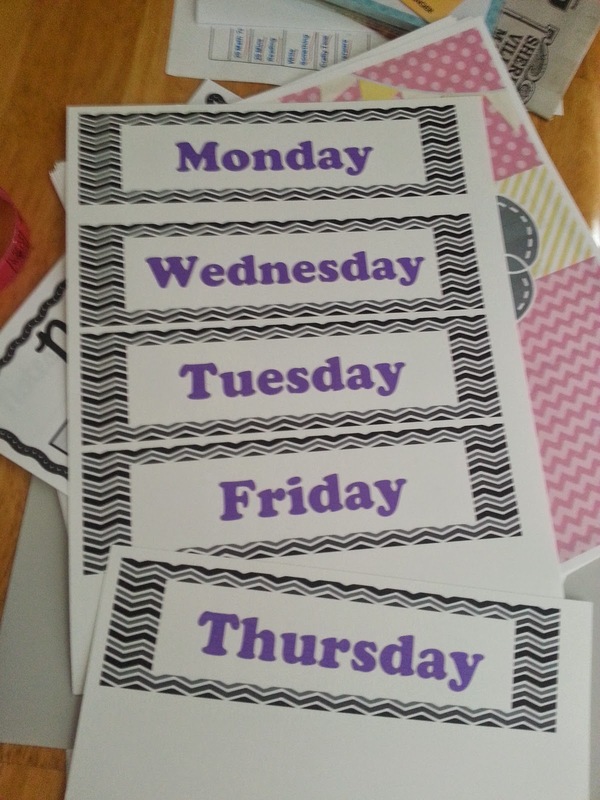 I then used PowerPoint to add the titles I wanted and printed them on card stock. 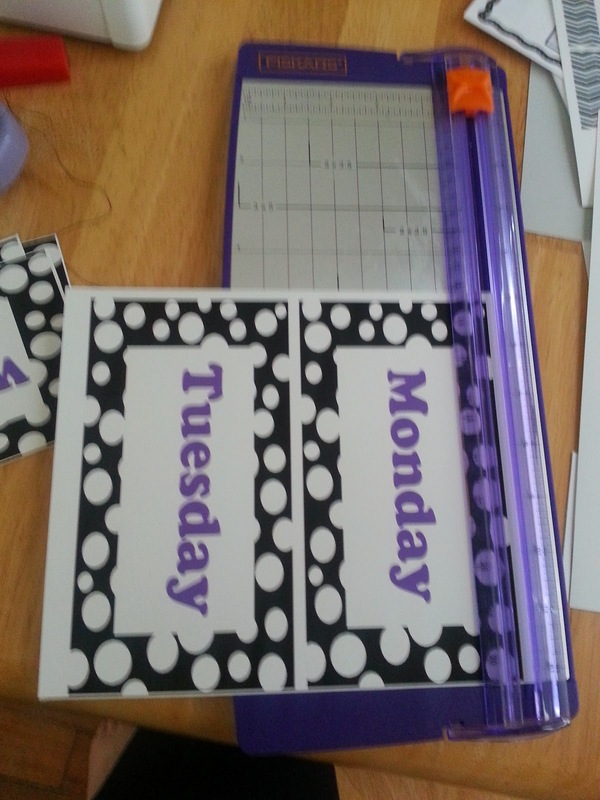 I cut them out with my scrapbook cutter, which now needs a new blade. The next time I went to the school, I laminated them, so they would last longer. 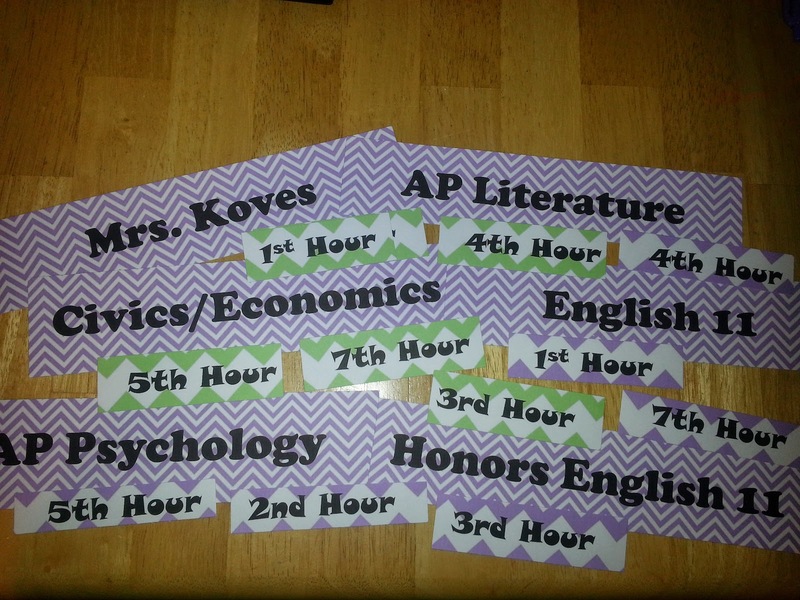 I also printed class titles for the top of the board and hour tags for my paper baskets. Last night I made one of my hubby's favorite recipes of mine. He is the chef, but there are a few things I make that he LOVES. 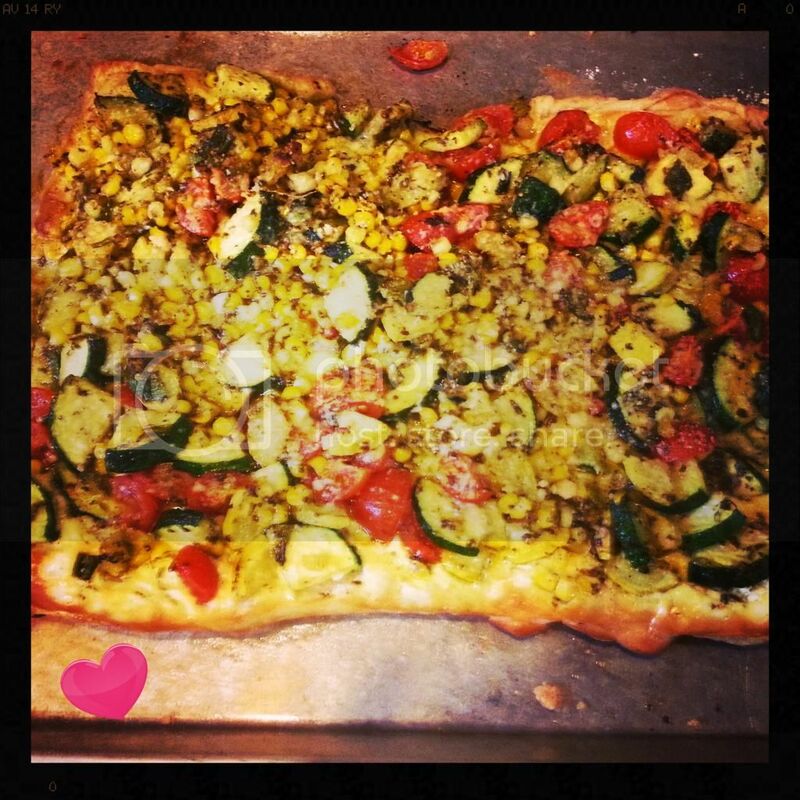 This one is the summer veggie tart. My version is based upon the recipe from Family Fun Magazine. I use whatever veggies I have that are in season. 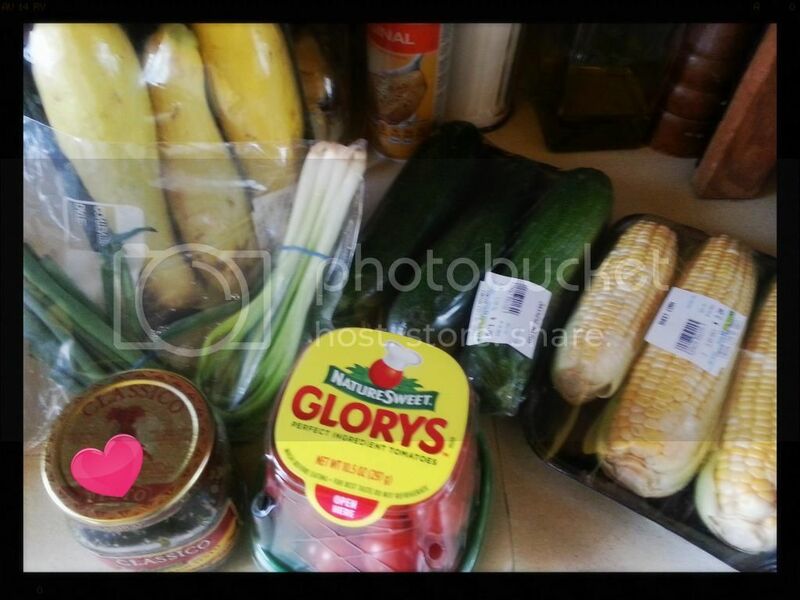 Today it was zucchini, yellow squash, green onions, tomatoes, and corn. You will also need garlic, pesto, an egg, softened cream cheese, salt, and pepper. You can use either a pie crust or puff pastry. I have used both, and we prefer puff pastry. Roll it out on a cookie sheet. 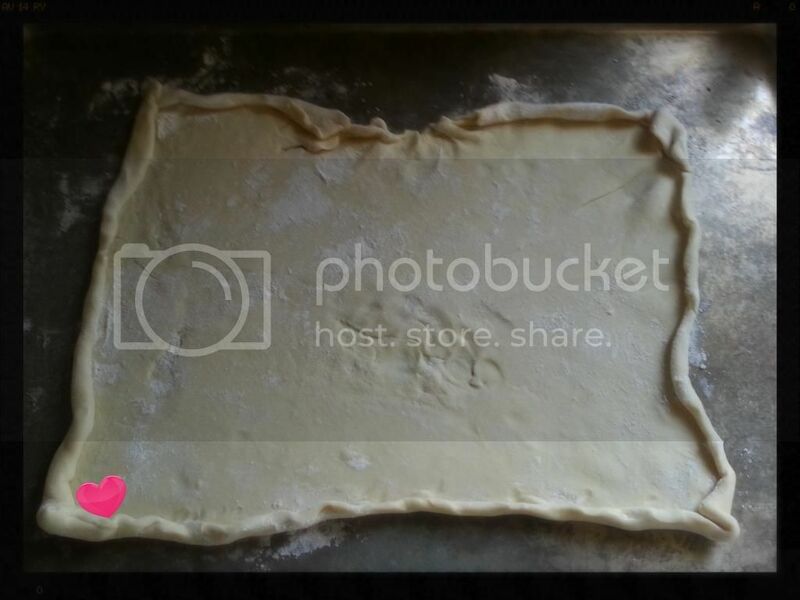 Then fold or roll the edges over for a crust. Chop all the veggies. Try and make them similar sizes, so the cook evenly. I actually took the corn off the cob in the pan, so it didn't go all over. For this size I used 1 zucchini, 1 yellow squash, 2 ears of corn, and three green onions. 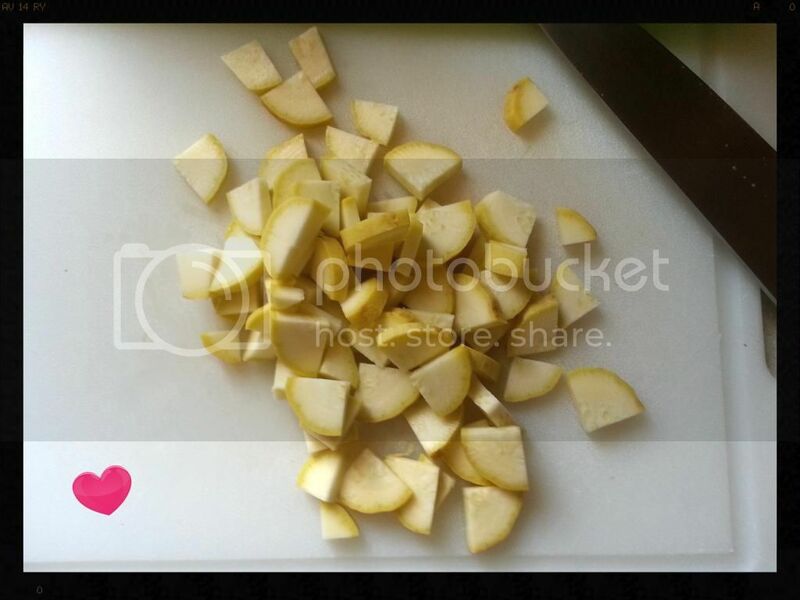 Cook the veggies in frying pan with olive oil, 2T fresh garlic, salt, and pepper. 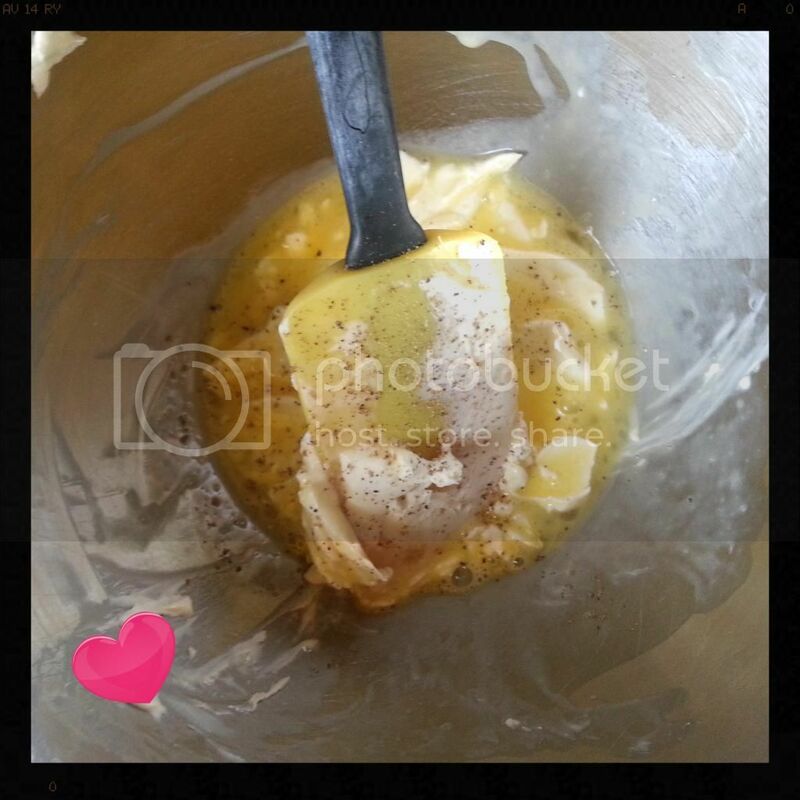 While that is cooking mix 1/4 block of softened cream cheese with the egg and pepper and spread on the pastry. When the veggies are done, mix in 3T of pesto and the cherry tomatoes; I quarter mine. 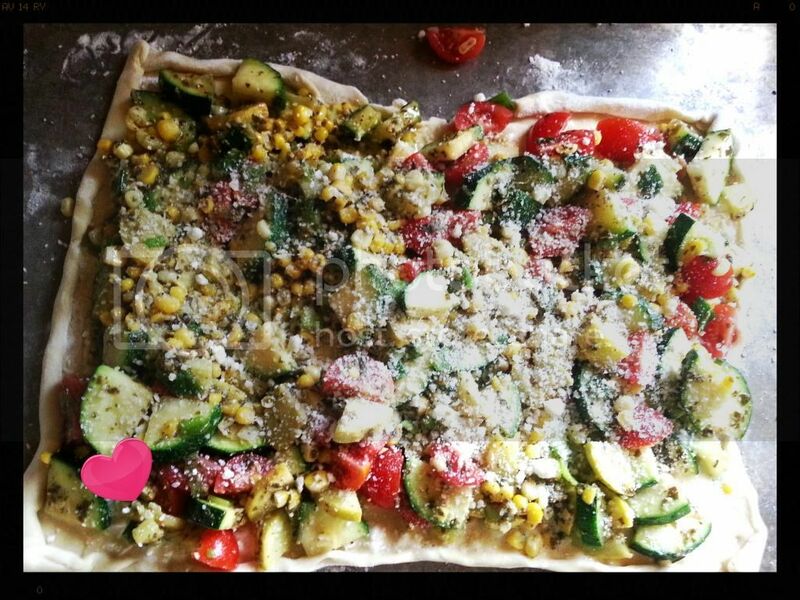 Spread the veggies on the pastry with the egg mixture. Then sprinkle with Parmesan cheese; fresh is best, but I only had the kind in the can. A pizza cutter works best for slicing it. Yummy dinner! I created these for an especially homework-challenged 11th grade English class, but I have turned it into a template that could be used for any student or class. Fill out the week's tasks and print the sheet for either the whole class or those students who need reminders. 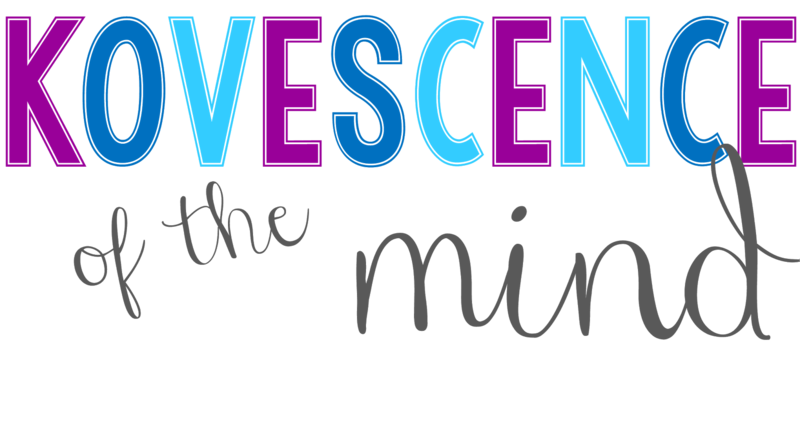 This is a great differentiation piece for students. As a bonus the back of the sheet (second page) contains a place for weekly words to be listed with definitions. 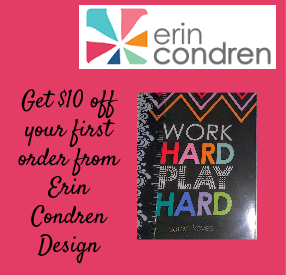 Check it out, download a free copy, and leave a review.